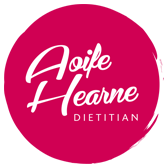 Nutrition Solutions is the South East’s longest established private nutrition consultancy service set up by Aoife Hearne (registered dietitian) in 2005. The aim of Nutrition Solutions is to empower people to make better choices and lead healthier lives. At Nutrition Solutions our philosophy is simple: we help you to achieve your health goals through making better choices in your lifestyle.